Honestly, this picture does not do these scones justice. 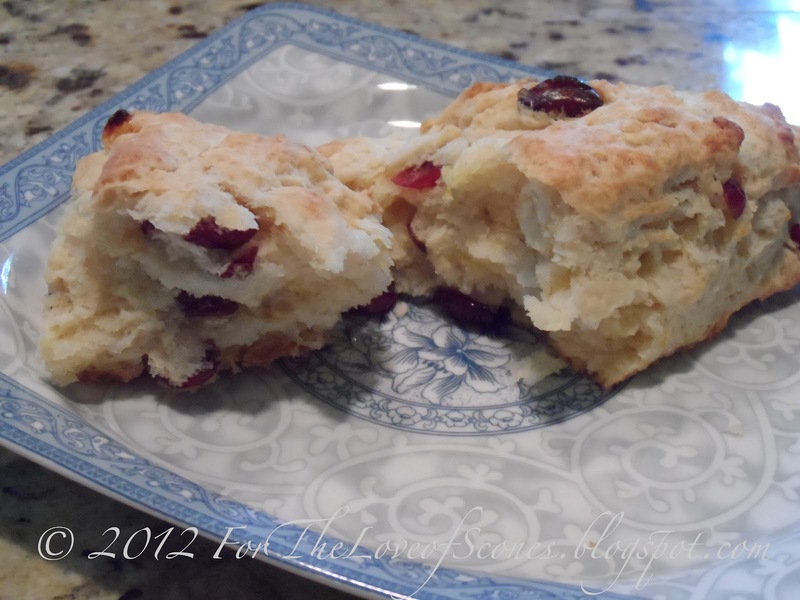 So, let’s just say, while these aren’t healthy scones, they are delicious. Okay, beyond delicious. Melt-in-your-mouth-delicious. I could eat the whole recipe, warm out of the oven. Flaky, buttery…warm… I’m drooling. Seriously. 1. Preheat the oven to 425ºF (220C). Line a baking sheet with parchment paper. 2. 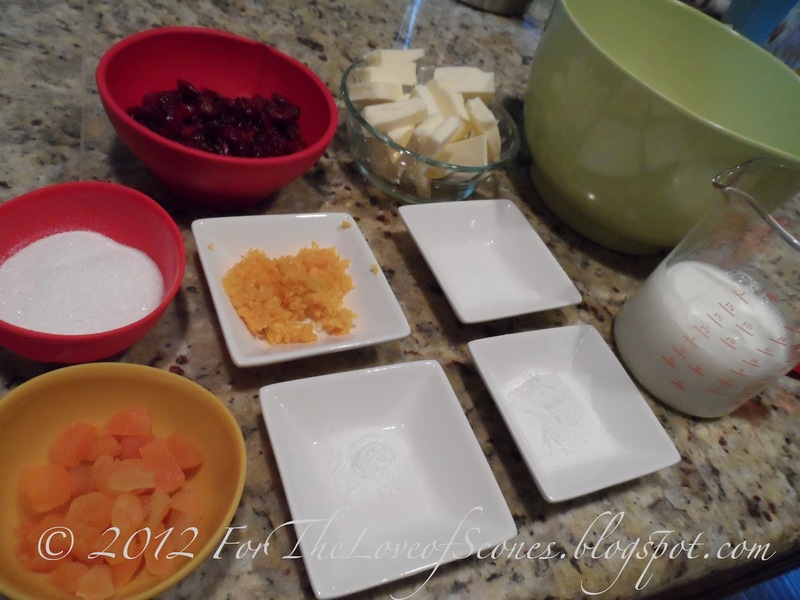 In a large bowl, stir together the flour, granulated sugar, baking powder, baking soda, and orange zest. Add the butter and blend into a sandy texture with a pastry blender or fingertips. 3. 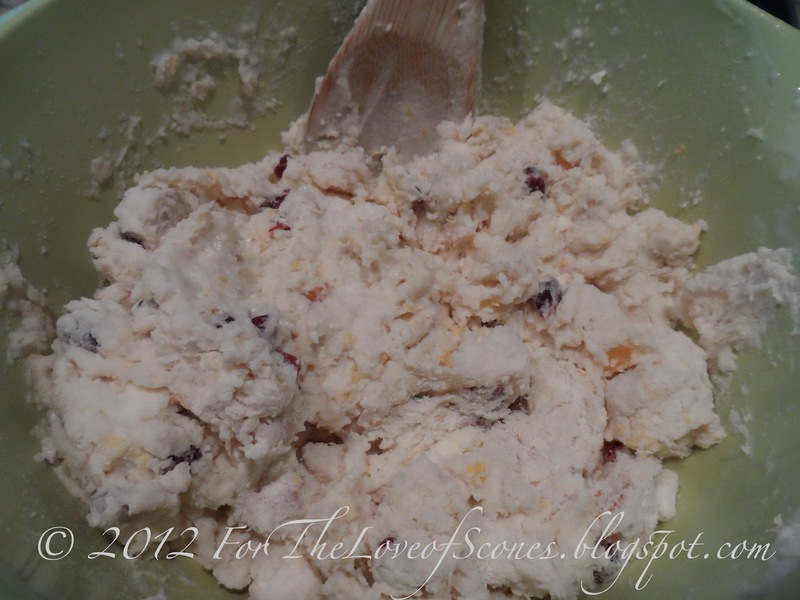 Add the apricots and cranberries and mix. Add the buttermilk and stir until just mixed (may be a little dry). 4. Turn dough out onto a lightly floured counter and knead a couple of times to mix. Press into a rectangle and fold like an envelope, first folding up the bottom, then folding down the top to create a long, narrow rectangle. 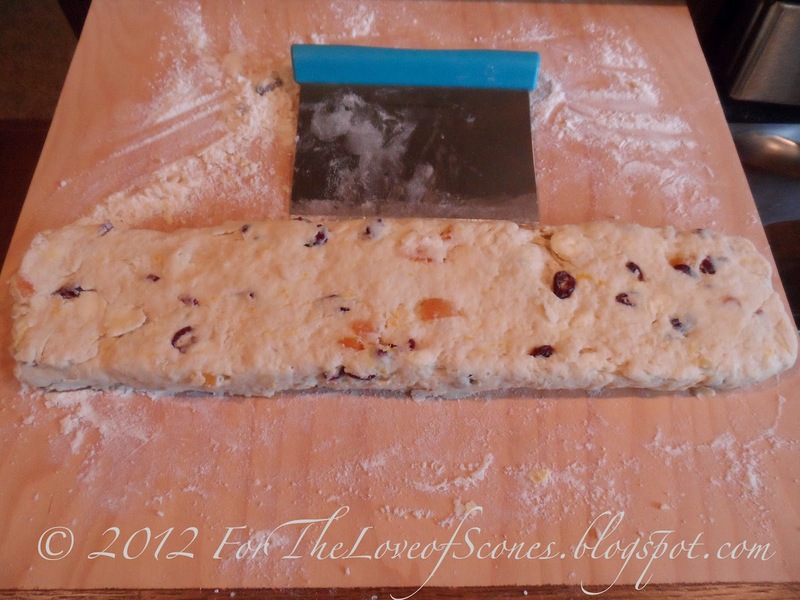 Press out into a longer rectangle until the dough is even and approximately 1 inch high. With a knife or bench scraper, cut into eight pieces. 5. 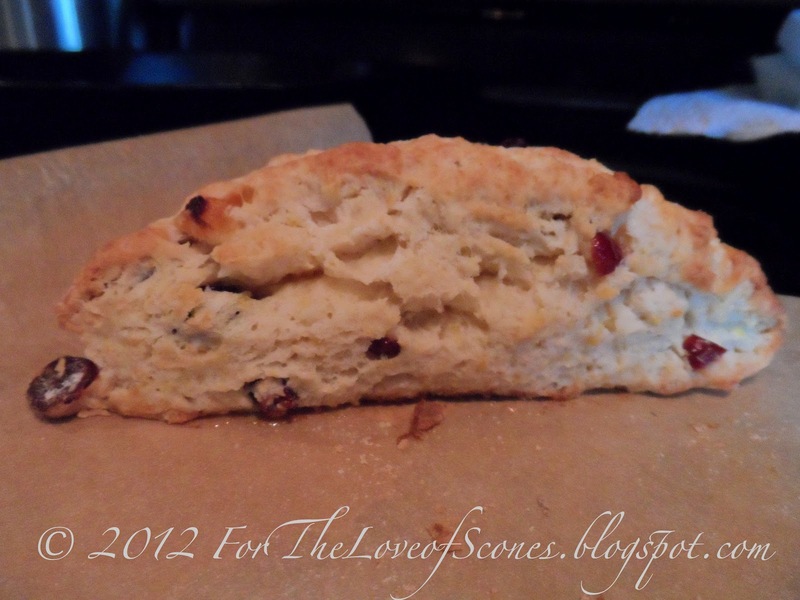 Place on a parchment-paper lined sheet and arrange the scones approximately two inches from one another. Bake for about 15 minutes, or until golden on top. The consistency of the dough when mixed (not kneaded). Flattened into a log, about 1 inch high. Then slice into half , and slice each half into a half to cut the log into quarters. Then cut each quarter into half diagonally. Scones sliced and on the tray, ready to bake. In case my introduction didn’t quite get the point across, these were fantastic. Of course, not the healthiest choice, but when you’re talking scones, who’s concerned about healthy? Definitely repeatable, these may become a new favorite in my house. The orange zest gives just enough flavor to create a hint of orange without being overpowering. The apricots I could have done without, these were more distracting from the rest of the flavor anyways, and I’m not a huge fan of dried apricots. 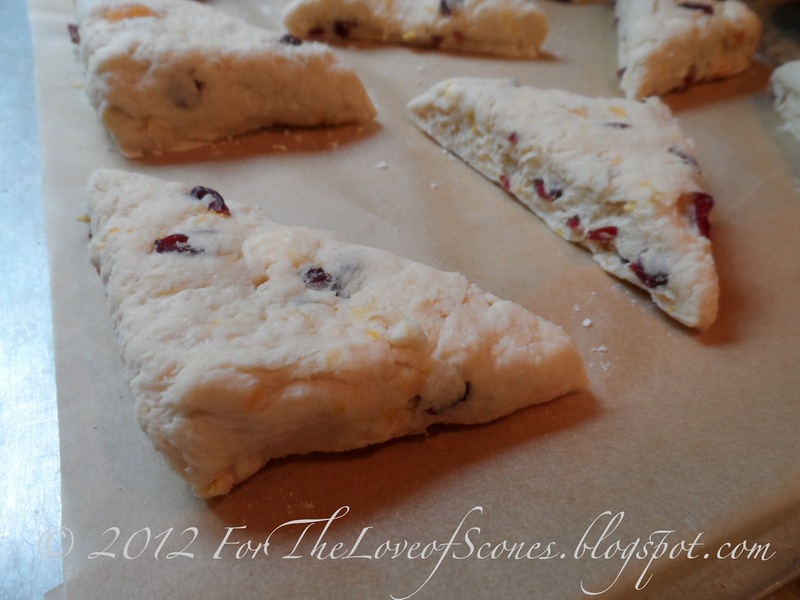 Next time, I’ll try these scones without apricots. This recipe calls for 10 Tbsp of butter which would be 1/2 c. plus 2 Tbsp. (less than half 1-1/2 c. 16 Tbsp = 1 cup) It is still quite a bit but not the fat overload that you thought. Hi, emkee! Thanks for pointing that out to me. 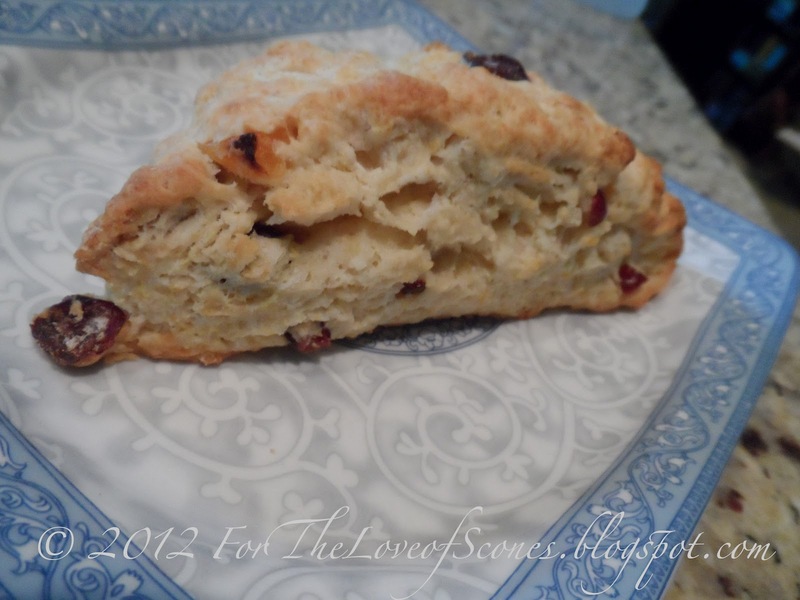 I can't remember where I got this recipe, but I often reduce the amount of butter in a scone recipe automatically. So while I'm not sure which is inaccurate (my initial statement or my list of ingredients), I'll make that change now and adjust my introduction to coincide with the list of ingredients. Thanks again, I certainly don't want to be misleading or confusing!